Whenever we visit my love’s family in Dusseldorf, we usually stay there a few days. And sometimes we visit a flea market. This time we went to a large flea market next to the new Arena. Much Bratwurstchen and Bier, and hardly any vinyl. But of course, I always find interesting stuff. Among my best finds is a Strickmuhle/knitting machine. Our children, and I too when I was young, like to “Punnik”. If there is an English name for it, I have no idea what it is. But it is a primitive form of knitting, done with four nails on a wooden tube. You get long strings of knitted wool, that have no use at all. The Tricoton knitting machine that I bought this weekend, came in the original package. The package is seriously damaged, but the machine itself is in perfect condition. It looks very simple, but the technique is amazing. I am not going to explain it, I hope that the picture of the package explains enough. Unfortunately there were no directions for use in the box, and although it looks extremely simple, I spent an whole evening figuring out how to make it work properly. And then it turned out it was not at all as simple as I thought. This is not a toy for children! 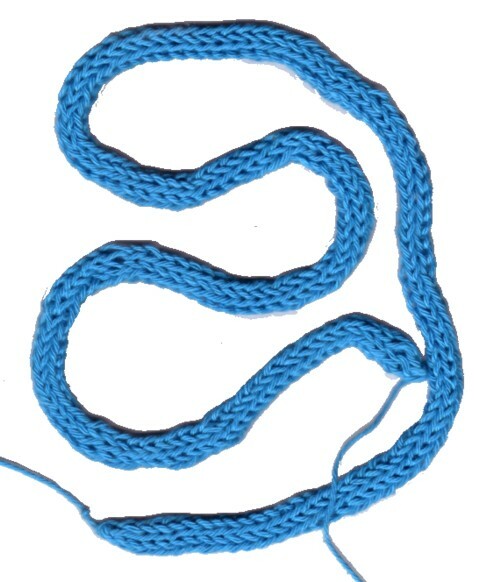 You can indeed make long strings of knitted wool, but only when you pay attention to at least six things all the time, otherwise the work gets stuck, falls off the needles or becomes to tight or too loose. On the same flea market I also bought six CD’s for two euro’s ins gesamt. 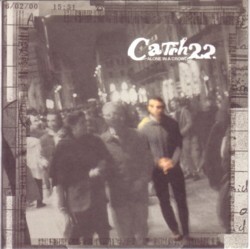 Three old school hiphop albums, a techno-CD (because the cover-art), and “Alone in the crowd” by Catch 22, a skateboardpunkband that reminds me a bit of Fishbone. I like Fishbone better, and this CD was not really what the rest of the family wanted to listen to in the car on our way home. But after not getting to listen to much music for a few days, I always enjoy ANY music. For a gimmick the band put 22 tracks on the CD, half of which contain 25 seconds of silence. A nice addition to my collection of Silence Music, about which I will write in the near future. 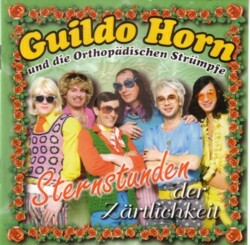 The only CD that could get some minutes of carplay during our way home was ”Sternstunden der Zartlichkeit” by Guildo Horn und die Orthopadische Strumpfe. This band operates in the same territory as the Dutch band Bertus Staigerpaip. You won’t like it, but here is a song from the CD ”Ich find’ Schlager toll” . Hallo! Even een vraagje: heb je dat tweede punnikmachientje nog? Ik ben eventueel wel geïnteresseerd. Ik woon in Utrecht. Wellicht hoor ik van je?